Gabriella Wal­ters is the founder Inferno Hot Pilates, the first ded­i­cated Hot-Pilates stu­dio in Las Vegas. Orig­i­nally from Budapest, Hun­gary, Gabi grew up as an accom­plished ath­lete, com­pet­ing in Track and Field and win­ning her age group in many events includ­ing the Long Jump, High Jump, 400m, and 800m dis­tances. She moved to the US in 2002 to com­pete in Fit­ness where she com­peted in many events across the coun­try. Only after suf­fer­ing a severe knee injury, did she dis­cov­ered Med­i­ta­tion, Yoga, and Pilates. In 2009, Gabi devel­oped Hot Pilates — a 60 minute, high inten­sity, low impact work­out per­formed in a room heated to 95 degrees and 40% humid­ity. Three years later, Gabi opened her own Hot Pilates studio. In 2008, Gabi’s spir­i­tual jour­ney took her to India, where she learned Deek­sha (One­ness Bless­ing). After months of prayer and med­i­ta­tion on the other side of the globe, Gabi came home to Las Vegas and real­ized her own pur­pose — to make a dif­fer­ence in the world and in other people’s lives. Chan­nel­ing her desire to help oth­ers with her love of fit­ness, Gabi began study­ing Yoga — becom­ing a Hatha Yoga Instruc­tor and get­ting cer­ti­fied in Power Yoga (Bryan Kest). Soon after Gabi became cer­ti­fied in Pilates through Bal­anced Body Uni­ver­sity (Jes­sica Abed-Rabbo) and started the Hot Pilates craze in the Las Vegas area. In 2012, Gabi started Inferno Pilates — the first ded­i­cated Hot Pilates stu­dio in Las Vegas. 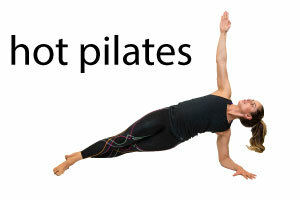 Hot Pilates is a chal­leng­ing, full body, low impact, high inten­sity work­out, using Pilates prin­ci­ples. The room is heated to 95 degrees. It is designed for all fit­ness lev­els. It helps tone and strengthen mus­cles with­out the pound­ing of a high impact workout. Since open­ing Inferno Hot Pilates in 2012, Gabi has taught over 2,000 Hot Pilates classes, more than any­one in the world. She is con­sid­ered one of the pre­mier experts as both an instruc­tor and a busi­ness con­sul­tant. Hav­ing suc­cess­fully launched the Hot Pilates pro­gram at Yoga­Source Los Gatos, CA and at P2O Hot Pilates in Sacra­mento, CA., Gabi’s expe­ri­ence and knowl­edge is sec­ond to none. Gabi plans to con­tinue to launch Hot Pilates pro­grams across the coun­try and the rest of the world. In 2014, Gabi brought Inferno Hot Pilates to Europe, with a multi-day Hot Pilates teacher train­ing and pro­gram launch at Ama­sole Yoga located in Budapest, Hun­gary.